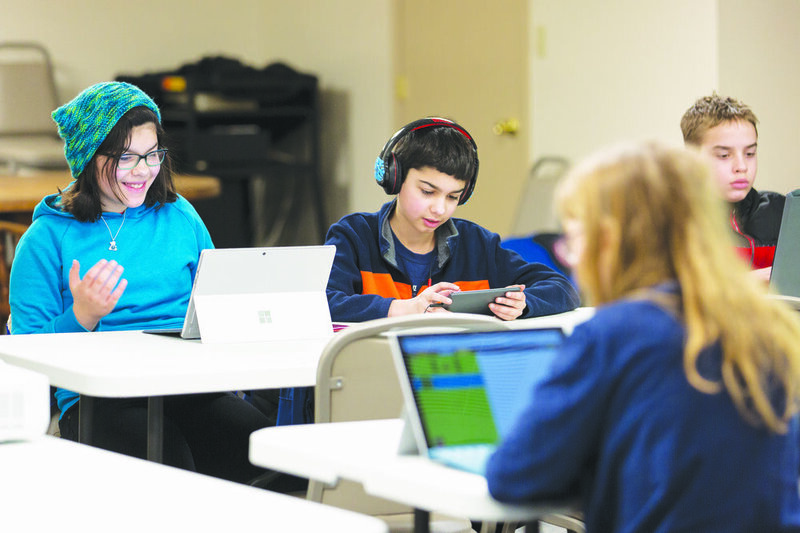 Hour of Code, a nationwide program geared toward children interested in technology, hosted a local event at the Wadsworth Public Library on Saturday Feb. 17. The event allowed elementary school students to learn and practice coding. The workshop targeted ages nine to 12 and opened with a showing of an 11-year-old’s TED Talk about creating a successful app, letting young students to feel personally connected to the topic. Students used laptops and tablets from home to access online educational services. The first hour of the event allowed participants time for independent work and creation, while the second half focused on collaboration. Geneseo’s Education and Community Engagement Librarian Michelle Costello organized the event after being approached by library staff about local student interest in coding. Costello contacted Assistant Director & Manager for Systems & Networking Kirk Anne, from Computing and Information Technology, to help Geneseo’s Ella Cline Shear School of Education students learn coding in order to teach the participants. Costello emphasized the value of exposing young children to seemingly intimidating subjects like coding. Early childhood and childhood education major sophomore Cassidy Siebert helped plan the event and construct its curriculum. “We wanted to draw attention to coding and have it incorporated in students’ education at a young age,” she said. Siebert said that she enjoyed the opportunity to work with the community’s elementary students and to help introduce them to a marketable field. “My favorite part is definitely getting to interact with the children and having talks with them. They say the funniest things and getting to know them helps to get prepared for my future occupation by seeing what children know at different ages,” she said. Early childhood and childhood education major sophomore Heather Robinson assisted teaching the children about technology. She said that the workshop was similar to an open house event that allowed people to learn about the technology in South Hall on-campus, which in part sparked the idea for the Hour of Code.